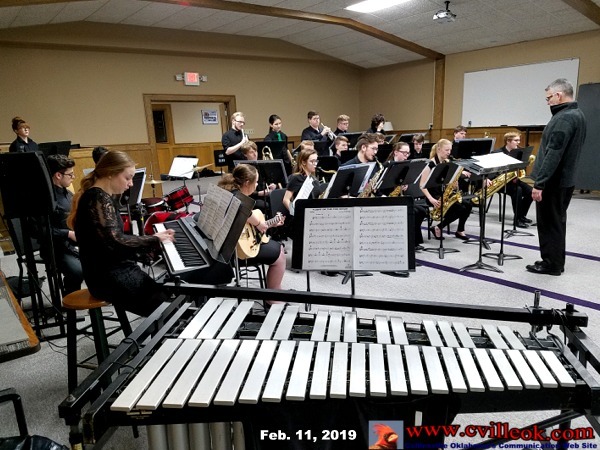 One of the Collinsville HS Jazz Ensembles performed three numbers for the school board members Feb. 11th. This group has a dedicated (7th hour) school time in their schedule daily in addition to their regular band hour. 4.d. Approval of MOU between Oklahoma State Regents for Higher Education and Collinsville Schools for 2018-2019. 4.e. Approval of the OKTLE Agreement with Collinsville Public Schools for 2019-2020. 5. Presentation by Brewer Construction on Current Building Projects -- On schedule at CUE (will power down existing building over weekend to connect to new wing's electrical). The three high school projects progressing well: new STEM classroom nearly enclosed, band room has roof, FFA roof almost done. Drone video shown. 6. Presentation by Jackie Johns of Suicide Prevention Intervention Program -- (also Michelle Brown) descrbed the 3 year progress of teacher, parent and student training on this sensitive but important subject. 7. Presentation of the College Remediation Rates of Collinsville High School Students-- Scott Kiker presented the results from 2 years ago and some changes made in the math area. 9. 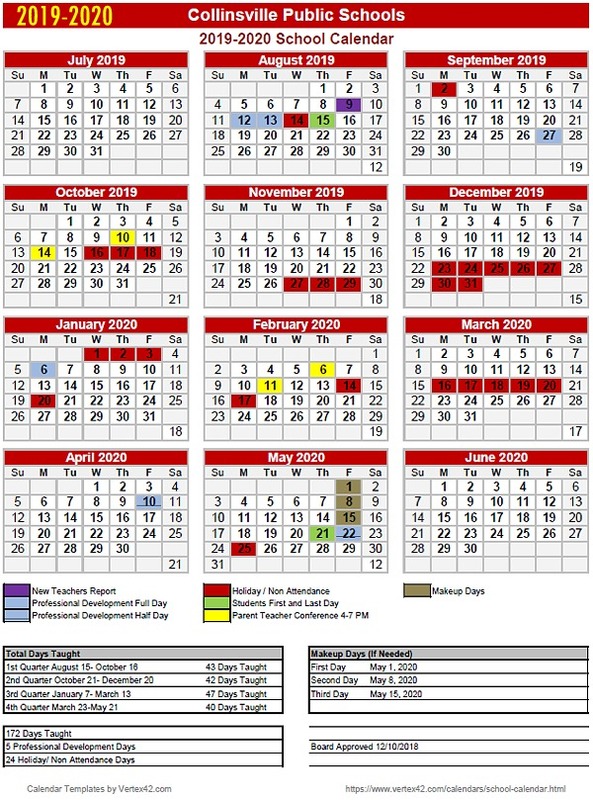 Proposed Executive Session to Discuss to Renew or Not Renew the Contract of the Superintendent of Schools, Pursuant to 25-OS ss 307(B)(1) of the Open Meeting Law. * Michelle Janah -- CNP "cruising"
This notice being given and displayed by the authority of the School Board of Independent District I-6, acting by and through the undersigned. Posted this 8th date of February 2019 at 12:00 p.m. on the door of the Education Service Center, 1902 W Maple, Collinsville, OK 74021.
contact Ted Wright via email to wrightted@aol.com. 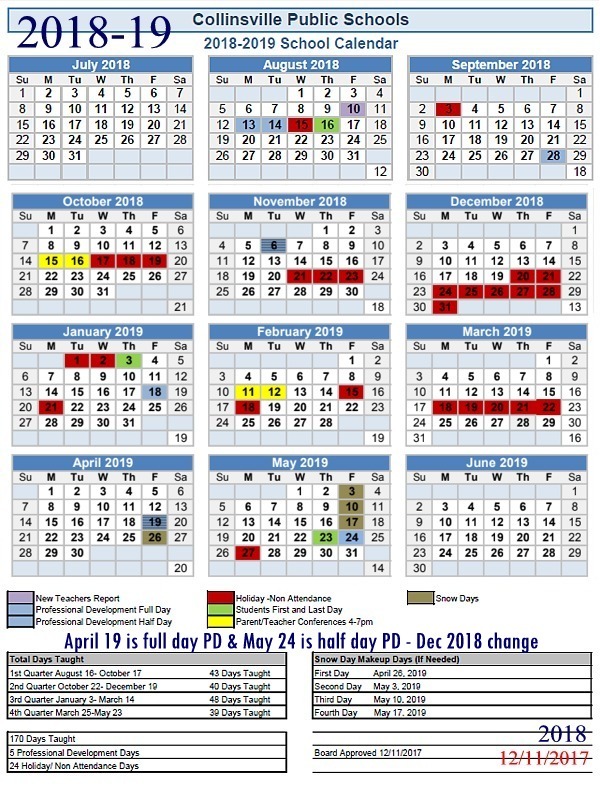 Link To Agendas on OSSBA Web Site.